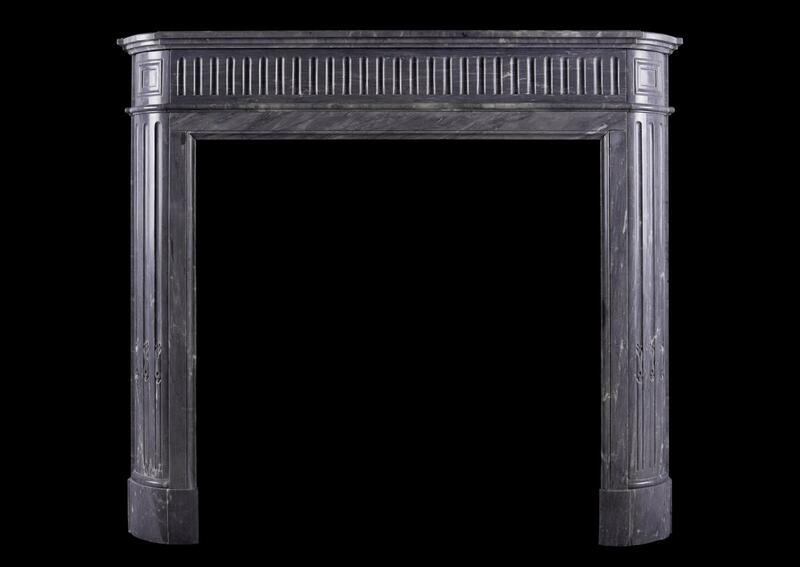 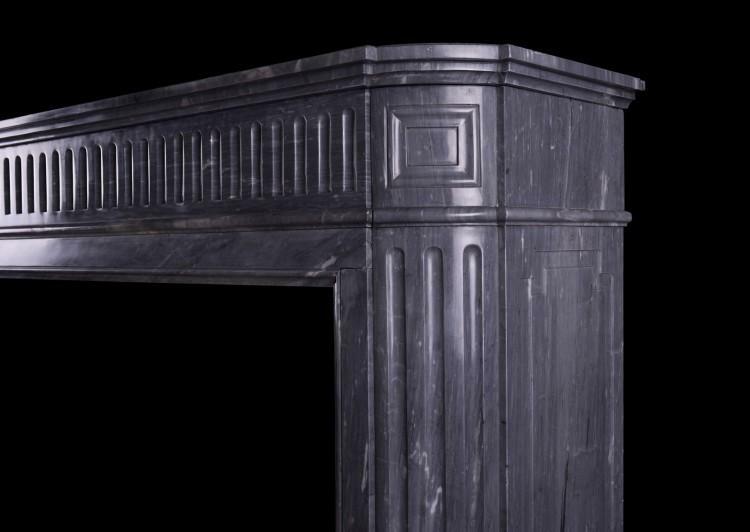 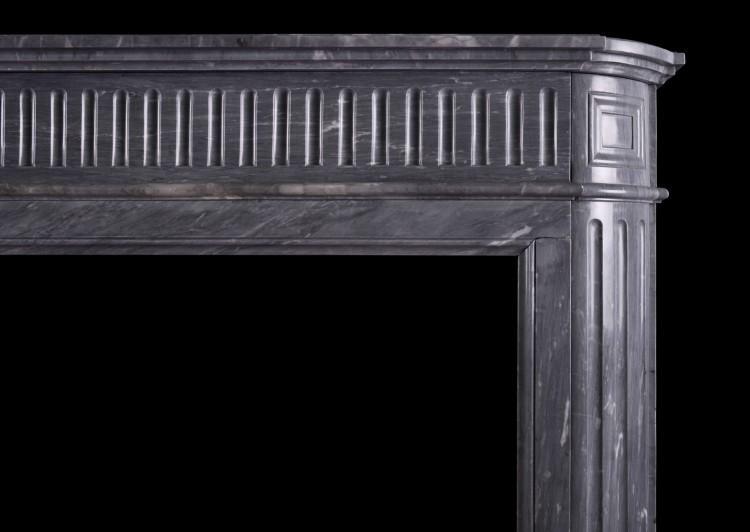 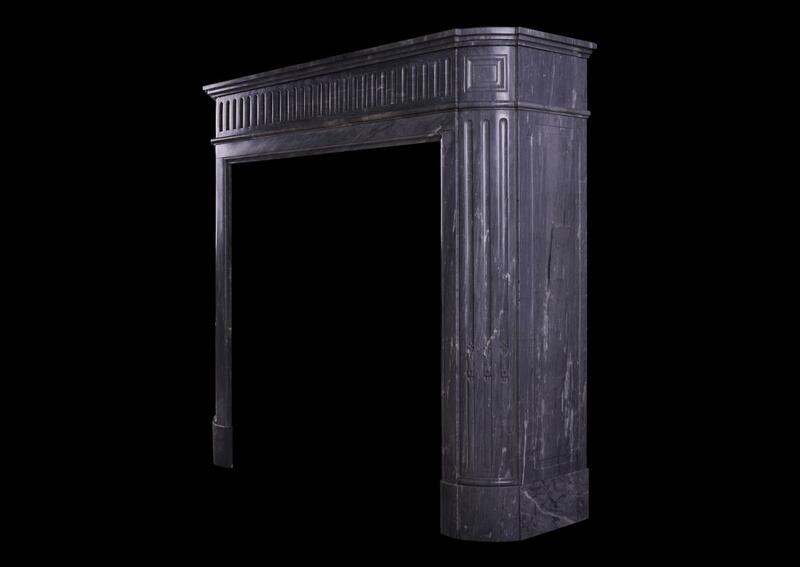 A French Louis XVI style fireplace in grey/blue Italian Bardiglio marble. The shaped, stop-fluted jambs surmounted by panelled end blocks, fluted frieze and shaped moulded shelf. 19th century.